Iran hasn’t been feeling well lately. Its currency has crashed, much of foreign capital and businesses have fled, many domestic businesses are going bankrupt, and ordinary Iranians have trouble putting food on their table. And it’s about to get worse. On Nov. 5, the United States imposes sanctions on the Iranian shipping and shipbuilding industries, and transactions with its central and other banks. Over 600 individuals and companies in Iran will face financial sanctions. Most significantly, the sanctions target the energy sector—most of Iran’s export revenue stems from oil. 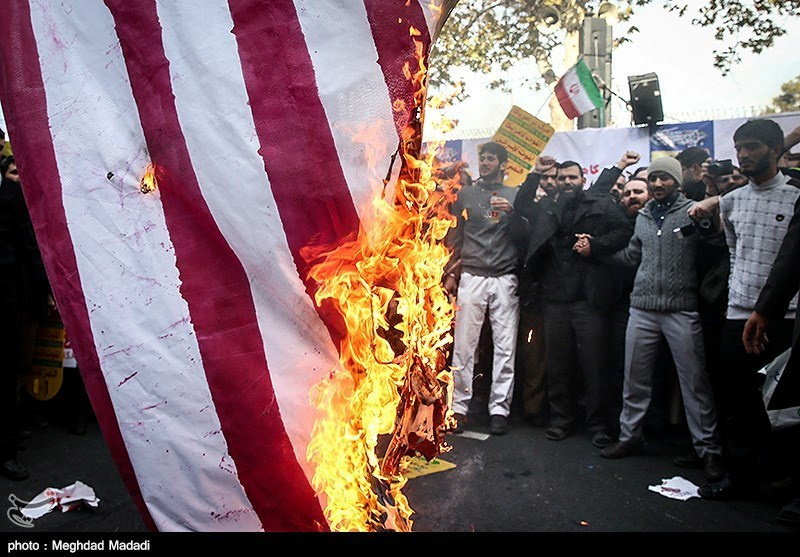 “This will be the toughest sanctions regime ever imposed on Iran,” the White House stated on Nov. 2. “The United States has launched a campaign of economic pressure to deny the regime the funds it needs to advance its bloody agenda,” President Donald Trump said in the statement. Trump has reproached the Islamic regime for supporting terrorists, building and spreading ballistic missiles, lying about developing nuclear weapons, and a litany of other transgressions. On May 8, Trump announced the United States’ withdrawal from the Iran nuclear deal and ordered the reimposition of tough sanctions. The United States already had sanctions on sectors including the automotive industry, gold, and other key metals on Aug. 6. Trump intends to bring Iranian oil exports to zero—a frightening prospect for the regime. Originally, that goal was to be achieved by Nov. 4, but it’s been increasingly clear the market couldn’t ween itself off Iran’s crude completely, or at least not this fast. Iran crude exports dropped by more than a third, from the peak of some 2.5 million barrels a day in April to about 1.6 million in October. U.S. Secretary of State Mike Pompeo announced on Nov. 2 that eight importers will get waivers to keep buying Iranian oil. He did not name them, but called them “jurisdictions,” a term that might include importers such as Taiwan which the United States doesn’t officially recognize as a country. China, India, South Korea, Turkey, Italy, the United Arab Emirates, and Japan have been top importers of Iran’s oil, while Taiwan occasionally buys cargoes of Iranian crude but is not a major buyer. Trump has a strong hand to play against Iranian oil. Earlier this year, Saudi Arabia, a rival to Iran, offered to fill the Iran-sized hole in the market with its 2 million barrels a day in untapped production capacity. The Saudis, as well as the United Arab Emirates (UAE) have already started to deliver what Iran has dropped, despite Iran’s objection to the Organization of the Petroleum Exporting Countries (OPEC). The last time sanctions were imposed, under President Barack Obama in 2012, Iran lost about three-fifths of its oil exports. But back then, all 20 countries that were importing Iranian crude received waivers, compared to Trump’s eight. The European Union has tried to keep the Iran nuclear deal alive and find ways around U.S. sanctions, but despite the efforts of politicians, companies may be wary to antagonize the United States by resorting to trickery. Meanwhile, Trump is trying to push oil prices down, pressuring OPEC to pump more into the market. In October and November, he’s also selling close to 1.3 million barrels a week from U.S. strategic reserves, where the country holds about 650 million barrels for emergencies. And it’s working—oil prices have indeed dropped in recent weeks. Brent Crude went from about $86 per barrel on Oct. 3 to less than $73 on Nov. 1. Not only does the low price hit Iran, it also boosts momentum in the American economy—another pride of Trump’s. The question is, how long can Trump keep the prices low. He may have earned some loyalty credit with the Saudis by his measured response to the recent killing of a Saudi-American journalist at the Saudi embassy in Turkey. But OPEC’s political will against Iran is balanced against its own need for oil cash. Moreover, American shale-oil companies will start to lose money on less profitable wells if prices stay low, Flynn said. Several times since Trump took office, former State Secretary John Kerry, the architect of the Iran nuclear deal, reportedly met with Iranian’s foreign minister, Mohammad Zarif, and advised him to “wait out” the Trump administration. It appears the regime is doing just that—and throwing its own people under the bus in the process. “All the prices are going higher every day … I cannot imagine what will happen after 13 Aban [Nov. 4]. I am scared. I am worried. I am desperate,” said elementary school teacher Pejman Sarafnejad, 43, a father of three in Tehran. Since the first round of curbs in August, prices of bread, cooking oil, and other staples have soared. Rice, one of the staples of Iran’s diet, has more than tripled in price since last year because of the fall of its currency, the Iranian rial. Some 70 percent of small factories, businesses and workshops have already shut down in the past months due to lack of raw materials and hard currency, according to Iranian media. The U.S. sanctions permit trade in humanitarian goods such as food and pharmaceuticals, but the falling value of the rial is putting foreign goods ever further from ordinary Iranians’ reach. The rial has lost about a quarter of its value against the dollar since Trump was elected, according to the official exchange rate, currently standing virtually fixed at 42,000 rials per dollar. But private businesses or individuals can’t buy dollars at the official rate, according to Farsi.NET, and depend on the secondary market in exchange offices or on street corners where a dollar goes for 130,500 rials as of Nov. 4, according to Rialconverter.com, which monitors exchange offices in Tehran. Some Iranian experts have called on the regime to release more of its dollar reserves into the market to alleviate the currency pressure. But every dollar the regime sells to its citizens is one less it can use to pay its terrorist proxies abroad. So far, it seems the regime has made its choice. The Iranian regime stems from a mix of Soviet influence and the doctrines of Sayyid Qutb—a founding father of the Muslim Brotherhood—who combined socialism with Islam to create the explosive ideological mix behind many totalitarian theocracies in the Muslim world. Qutb’s socialist Islam created the idea of “Islamism” which warped the concept of Islamic law, sharia, and advocated for “offensive jihad,” which then fueled many terrorist movements, said Zuhdi Jasser, president of the American Islamic Forum for Democracy, in an earlier Epoch Times interview. Iran has an elected government, but the actual power is in the hands of Supreme Leader Ayatollah Khamenei, a group of ayatollah clerics under him, and the Islamic Revolutionary Guard Corps (IRGC), a military branch Khamenei commands. Khamenei himself controls the Setad organization, a de facto hedge fund with $95 billion in assets. Setad “holds stakes in nearly every sector of Iranian industry, including finance, oil, telecommunications, the production of birth-control pills and even ostrich farming,” according to a 2013 Reuters investigative report. “That wealth is untaxed, it is ill-gotten, and it is used as a slush fund for the IRGC,” U.S. State Secretary Mike Pompeo said in a July 22 speech. Pompeo called out several high Iranian officials by name, detailing their corruption. He also listed a plethora of ways the regime embarks on a “mission of exporting the [Islamic] revolution” abroad, including financial and material support of terrorists and militants, such as Hezbollah, Hamas, Shia militants in Iraq, and the Houthis in Yemen. Iran has denied supporting the Houthis, but the Saudis have produced evidence to the contrary, including debris of an Iranian missile fired toward Riyadh, which the Saudis say was launched by the Houthis. Iran’s belligerent behavior was supposed to fade away with the Iran nuclear deal, officially called the Joint Comprehensive Plan of Action. The deal was signed in 2015 by the Obama administration along with Russia, China, the United Kingdom, France, and Germany. It delayed Iran’s capacity to build a nuclear weapon until 2026 in exchange for sanctions relief. But Iran went in the opposite direction, announcing last year an intent to boost its military spending by 150 percent in five years. Its 2018 budget raised the IRGC funds by 40 percent, while cutting cash handouts and subsidies by $5 billion and hiking taxes by 11 percent, wrote Heshmat Alavi, an Iranian activist and Forbes contributor. Despite Iran’s claims to the contrary, the Trump administration maintains that its goal is to change Iran’s behavior, not its regime. 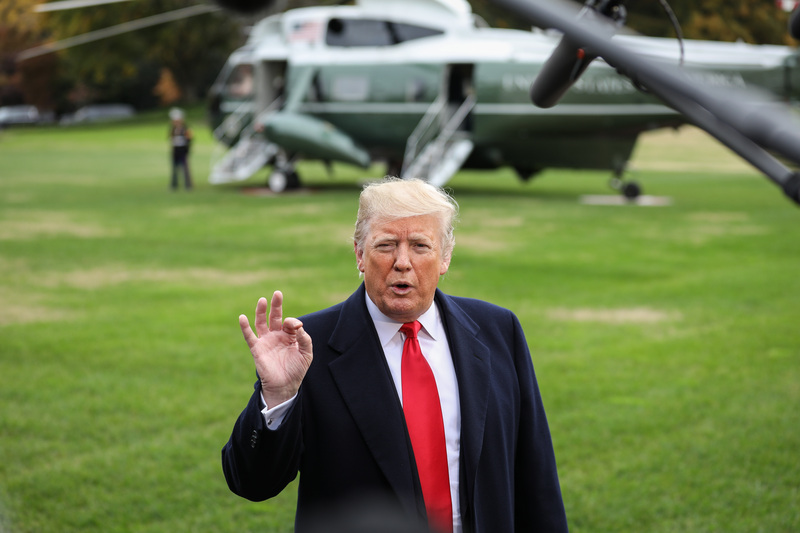 “The United States remains open to reaching a new, more comprehensive deal with Iran that forever blocks its path to a nuclear weapon, addresses the entire range of its malign actions, and is worthy of the Iranian people,” Trump said in the Nov. 2 statement. Similar to Trump’s approach to North Korea, the administration promises sanctions relief, the reestablishment of full diplomatic and commercial relations with the United States, and economic cooperation “when we see that the Iranian regime is serious about changing its malign behavior,” a State Department official told The Epoch Times on Nov. 3. “The United States is hopeful that the Iranian regime will think seriously about the consequences that their behavior is having on their country—and especially on the Iranian people—and that they will choose the correct course of action going forward,” the official said.